For something a bit different this year, why not fill up a bag, creel, basket, or hamper with a range of products for the fisherman or sailor in your life? What about a starter kit for someone who's recently gotten into sailing? Or take your pick from our many Commercial Fishing products. Pick and choose what you need from the list below, across our other Christmas Shops and across the site. We've got loads to offer! If you'd like to be on the receiving end of some of these gifts, be sure to share this page with your family and friends to drop some heavy hints! Alternatively, you can add your wishlist of products to your basket and email it to your loved ones. 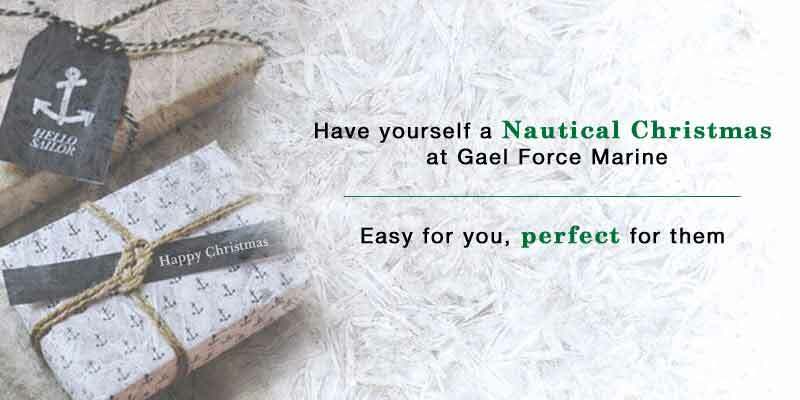 Merry Christmas from Gael Force!